Represses are available at Bleep and Boomkat (pre-order)...soon this will hit many others onlinestores...don't pay stupid silly prices. A repress of this (with what appears to be an inverted colour sleeve) is available to pre-order on redeye now. No-one noticed the 'Thriller' samples, then? was this one reissued yet? 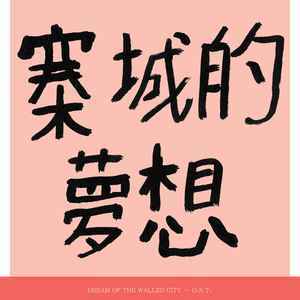 The duo of Samo DJ and Max Stenerudh have billed the record as a conceptual soundtrack set in Kowloons Walled City, an ex military fort in Hong Kong that became notorious for its dense population, Triad connections and lack of governmental control. It was demolished in the mid 1990s, but has served as the influence for plenty of projects since, and should provide a suitably shadowy backdrop for KWC 92 fractured sounds. ah, i was waiting for this to become expensive before i decided to buy! Simply beautiful. Gorgeous, tense music and great cover art to match.